Triumph Hurdle winner Defi Du Seuil will not run at the Punchestown festival next week and instead head off for his summer break. 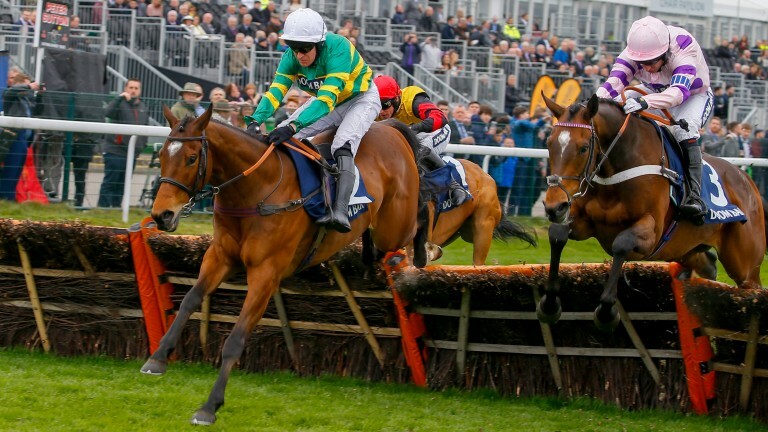 A seven-time winner in Britain this season, Defi Du Seuil had been entered for the Grade 1 AES Champion Four Year Old Hurdle but connections have decided to bypass the race. Explaining the decision, his trainer Philip Hobbs said: "After weighing everything up for Defi Du Seuil, we have concluded he has done enough for this season and misses next week's race. "He is unbeaten in seven hurdle races, including the Triumph Hurdle at the Cheltenham Festival and the Grade 1 juvenile hurdle at Aintree this month, so he has earned his summer break at owner JP McManus's Martinstown Stud in Ireland." McManus still has three possibles for the Punchestown race, including Triumph fifth Landofhopeandglory and Project Bluebook, who won a Grade 2 at Fairyhouse last weekend. The Triumph Hurdle form could be well advertised in the race, with runner-up Mega Fortune, and the third, Bapaume, also entered.